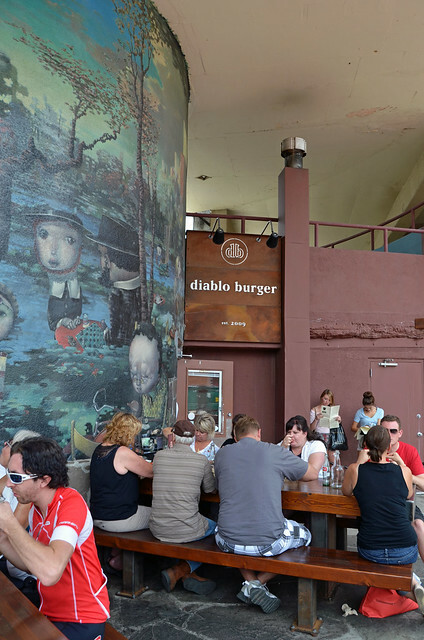 After the Grand Canyon, we headed to Flagstaff and had a late lunch at Diablo Burger. 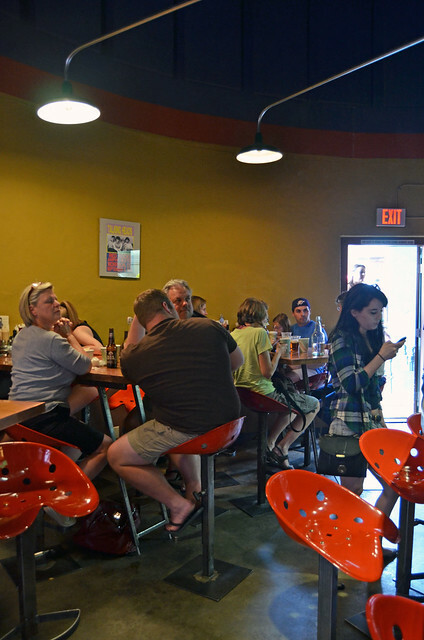 The place is tiny, very popular, and totally worth the wait. You place your order at the cashier, and a friendly server brings your food to you. 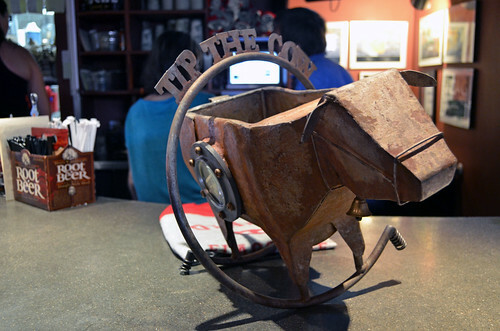 All of the burgers here are made from local open-range-raised, growth-hormone-free, grass-fed beef. 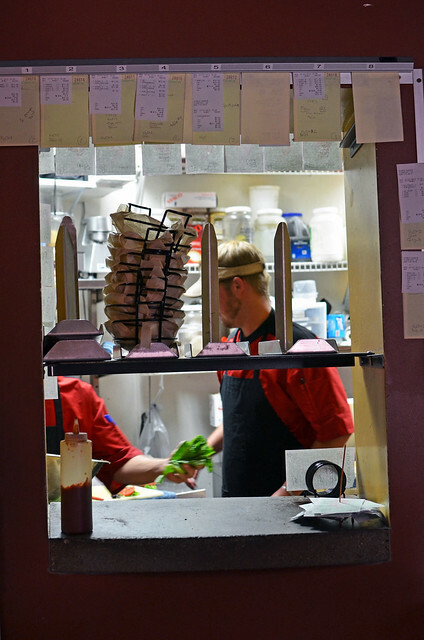 Unless you specify otherwise, your burger will be cooked to medium-rare perfection. 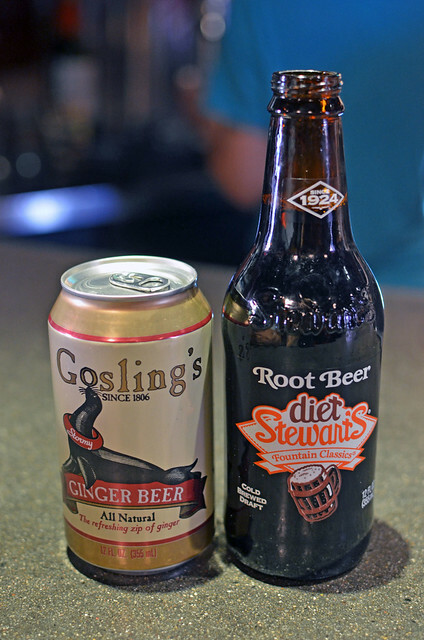 Gosling's Ginger Beer ($2.50) and Stewart's Diet Root Beer ($2.50). I love anything Gosling. Baby geese. Ryan. And ginger beer. And, as far as diet stuff goes, Stewart's Root Beer is tops. 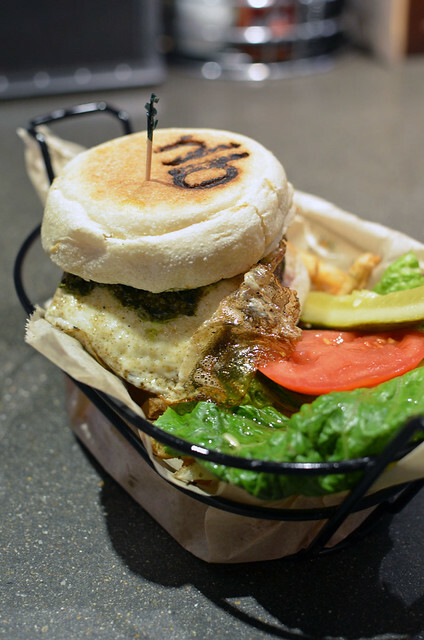 DB House -- blackening spice, homemade pesto, over-easy fried egg ($11.25). The fried egg was no joke. I got egg on my face. And hair. And pants. And I loved it. 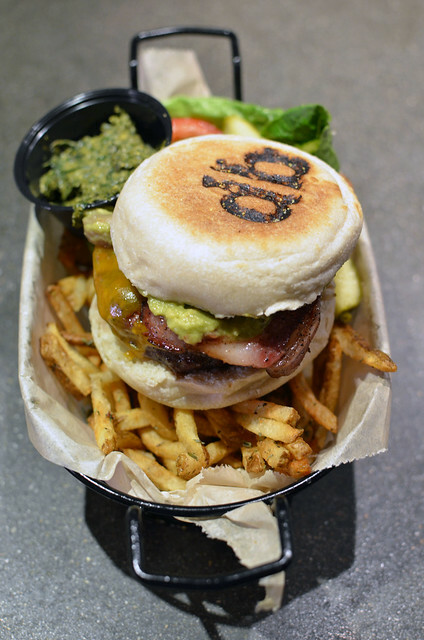 Blutarsky -- blackening spice, bacon, sharp cheddar, guacamole ($11.25). Crazy awesome. Really, just read those ingredients. Can't go wrong. See that green stuff in the small black container? It's a side of homemade pesto for the phenomenal fresh-cut double-fried-in-peanut-oil Belgian-style frites seasoned with herbes de Provence that come with every fancy, juicy burger. Diablo Burger doesn't mess around. These are serious burgers for serious burger fans. If you ever find yourself in Flagstaff, make sure you pay a visit! I just may have to find myself there because I'm drooling over the Blutarsky. And now you got me craving a BURGER. Mmmm! I need that second burger in my life. Preferably in my mouth. Now. I think the Blutarsky is the best part of Flagstaff. We are going to Arizona next week. We will have to check it out! Ooh, yum! I love a good burger. 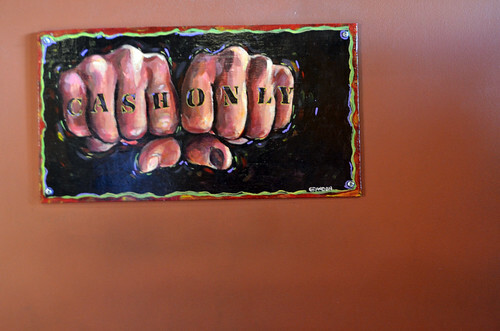 I'm lol at that "Cash Only" painting. Awesome. Cash only?? Get outta here. That brand for the buns is cool. I enjoyed the English muffin branding, too! "The fried egg was no joke. I got egg on my face. And hair. And pants. And I loved it." OMG, it was everywhere. And I missed wiping off a bunch of it, so it DRIED in my hair, and then it was an eggy, flaky mess later. Anything Gosling! Haha - agreed!! i kinda dig that they brand all their buns.